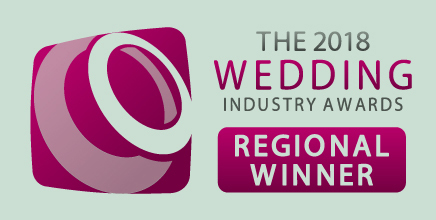 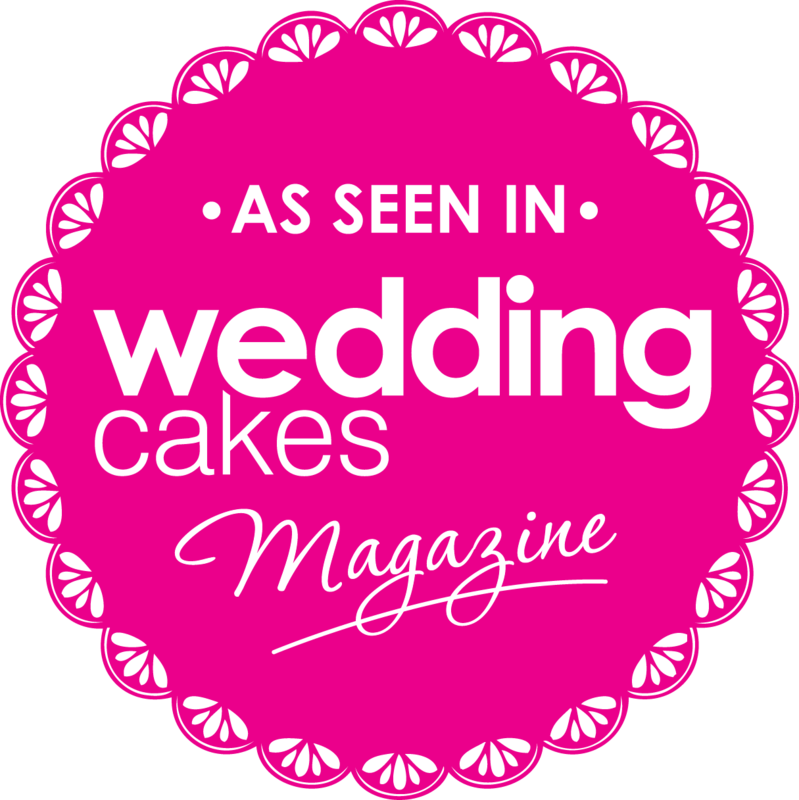 Zoe & Gregg got married at the Ocean Suite on Eastbourne Pier, East Sussex. 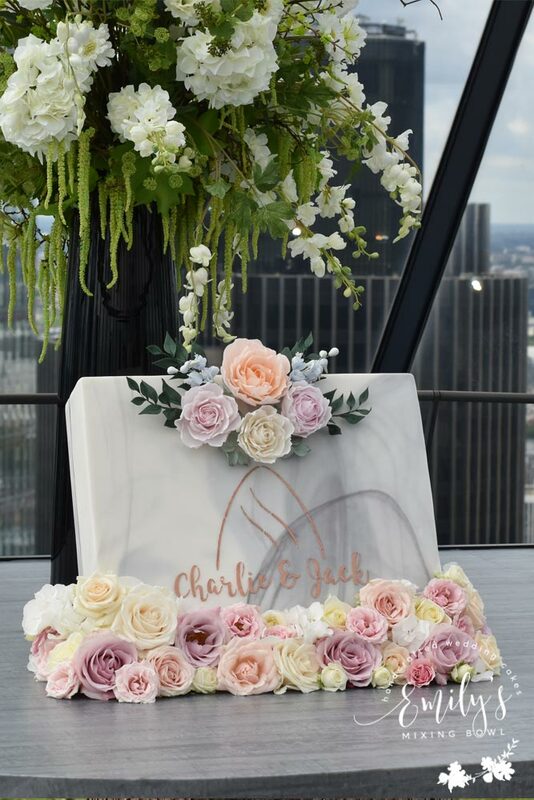 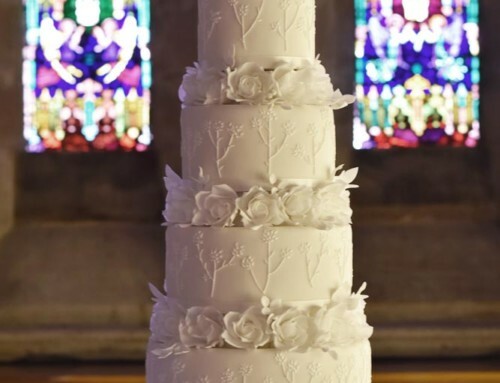 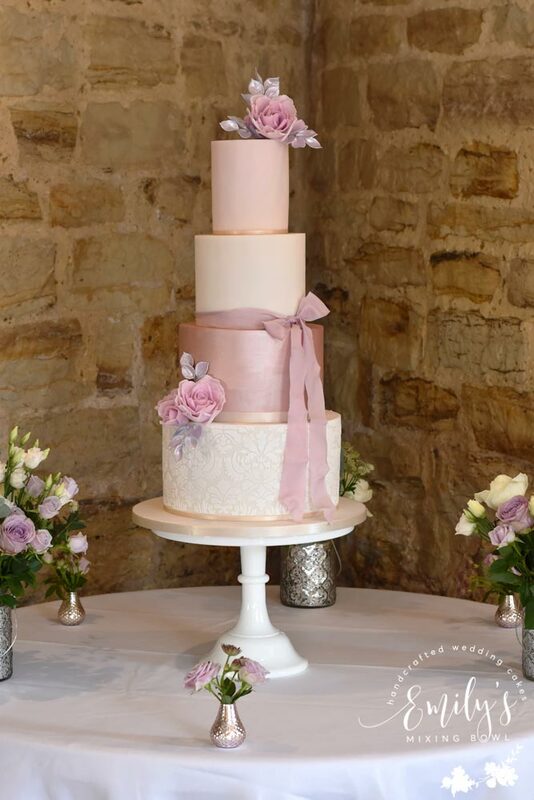 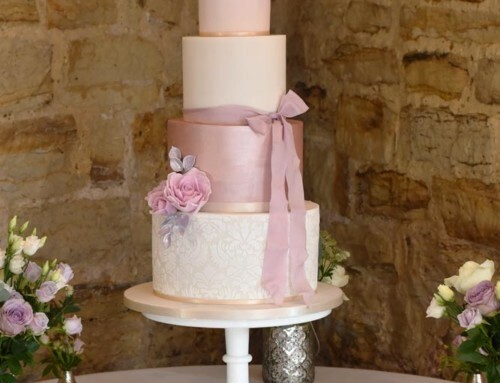 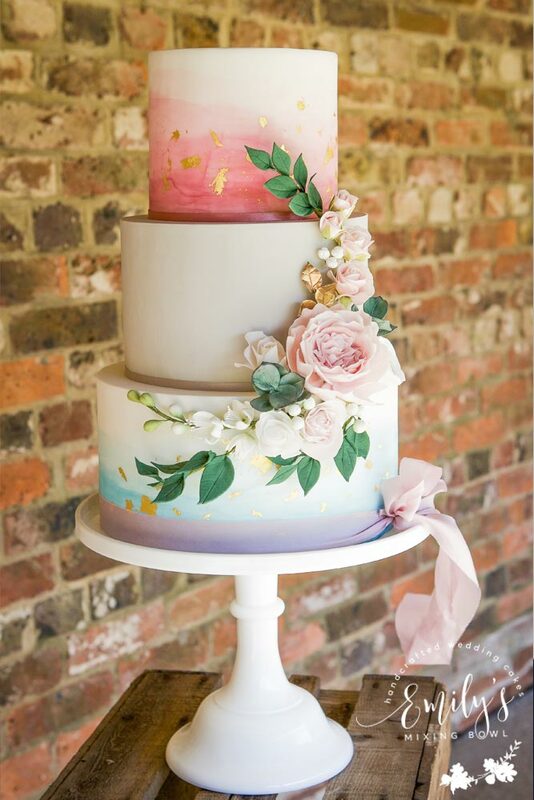 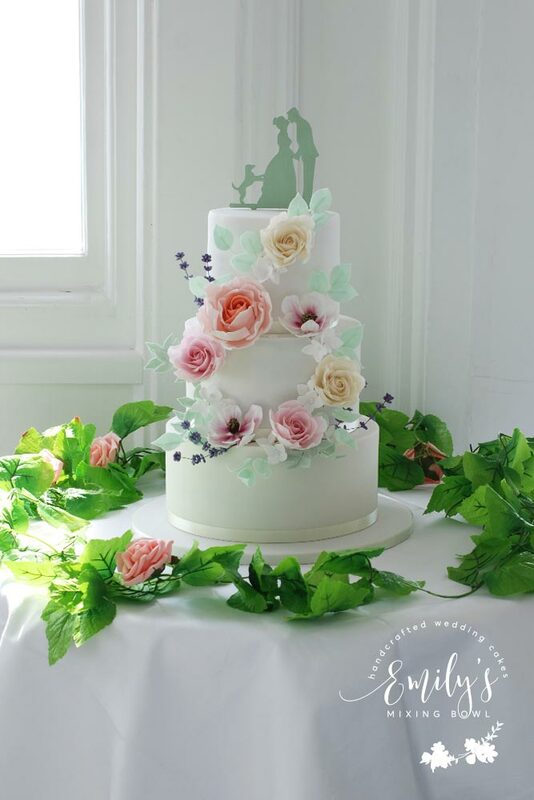 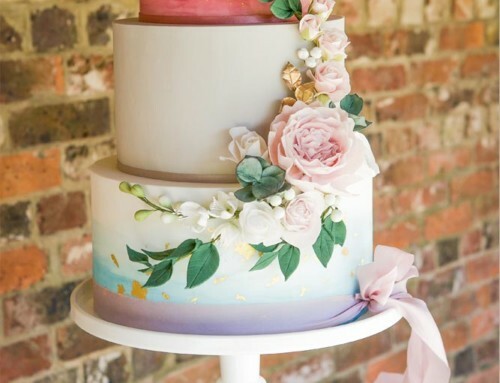 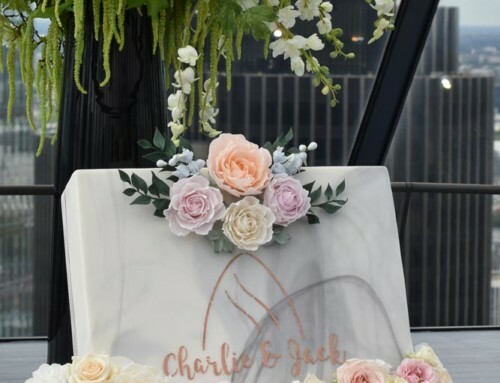 Their wedding cake was based around their colour theme of sage green and pink. 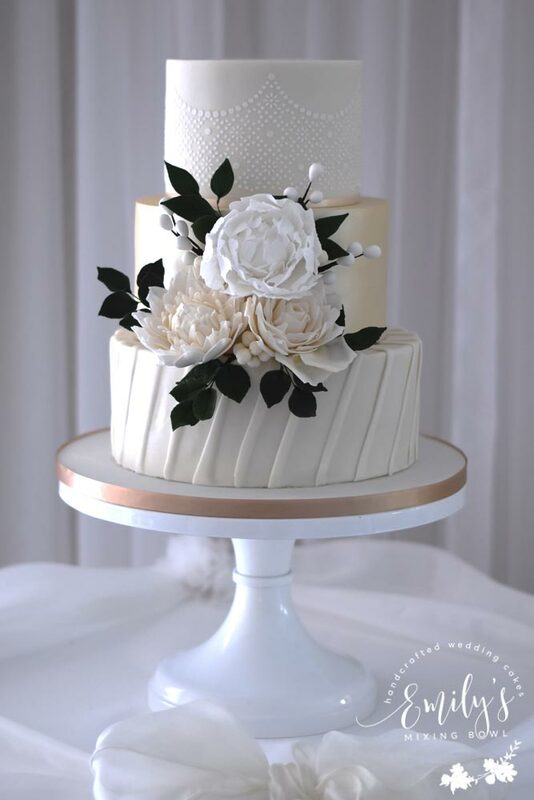 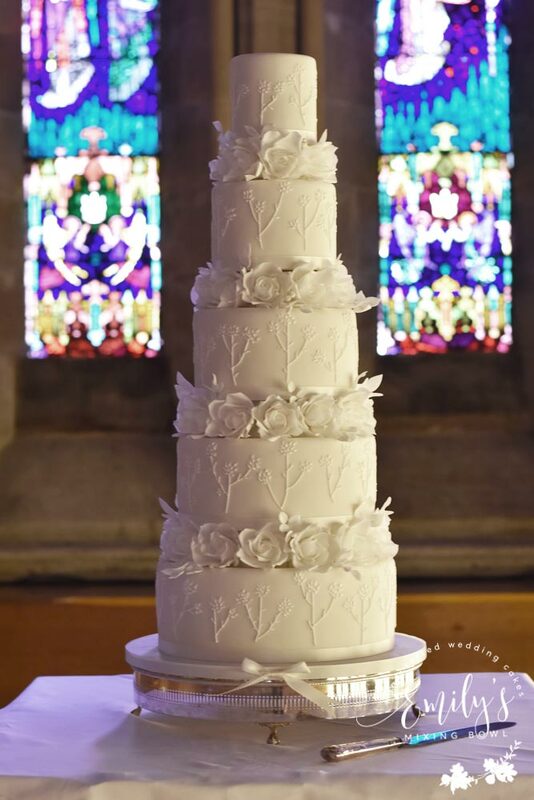 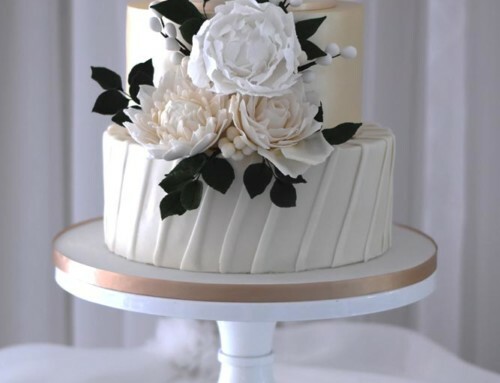 I made a wreath of sugar flowers in their colour theme which adorned the front of the cake.